My latest book, A Magical Stillness is now available. This is the 4th volume in the magical journal series and contains all my blog articles from 2015-2017. Click the button below to pick up your copy. My newest book, The Process of Magic: A Guide to How Magic Works is now available. The Process of Magic was originally a class I taught I took the 26 lessons, plus some bonus material and converted it into a book. 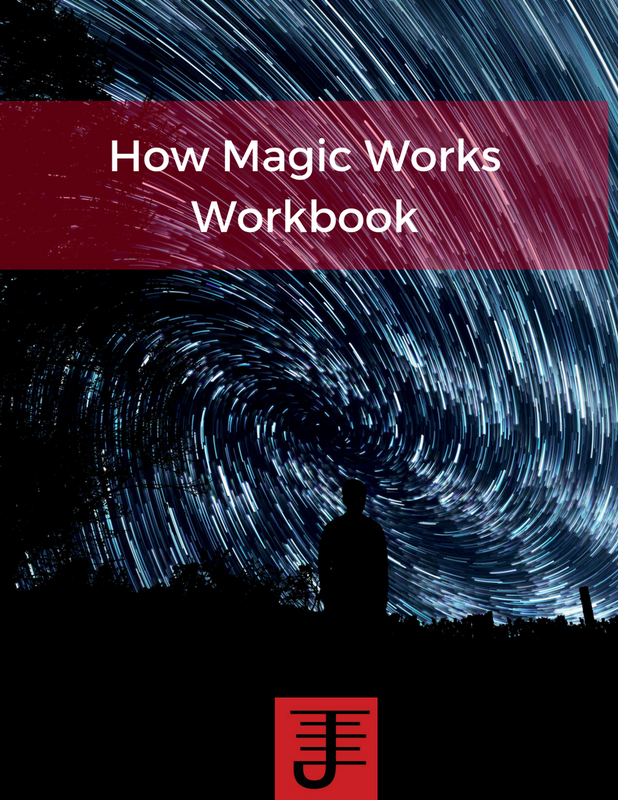 In The Process of Magic, we explore how magic works and what you can do to improve your magical workings as a result. I also show you how to troubleshoot existing magical workings. 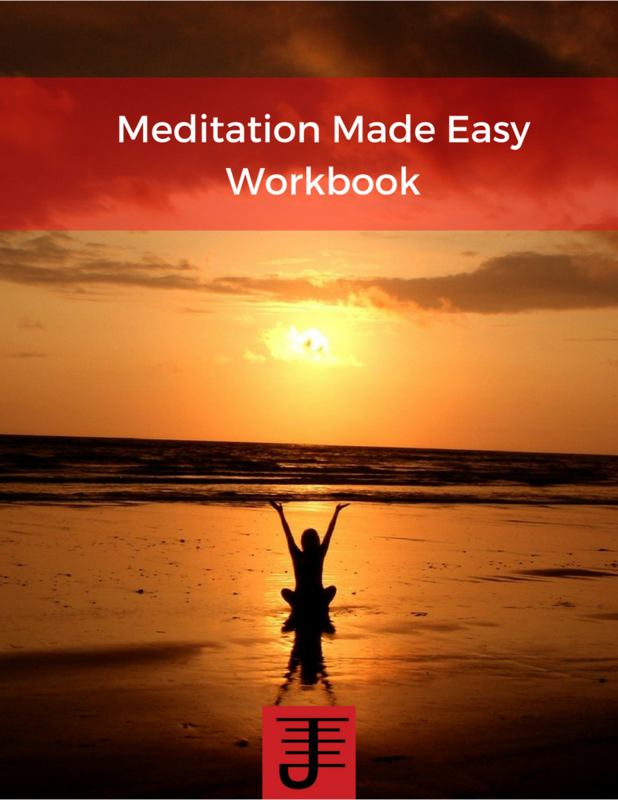 The goal of the book is to help you create a stable foundation for your magical practice. This gem of a book was recently republished and it features letters William G. Gray received from one of his mentors, as well as commentary from Gray about the contents of the letters. For that reason alone this book is valuable because it offers a bit of history and perspective. But what else makes this content so valuable are the insights hidden in the letters and commentary. For someone new to magic they are extremely important, but even the seasoned practitioner will get a lot from the book. It's certainly a book I will read again and again and each time I have no doubt fresh perspectives and insights will yield themselves. This is a fascinating book which explores the mythos of Angels and relates the description of Angels to contemporary Physics. I enjoyed learning more about the mythology of Angels, though I did find the physics metaphor to be a bit of a stretch. Thankfully they focused mostly on them mythology of the Angels, and specifically in regards to three classic perspectives on Angels via Dionysus the Areopagite, St. Augustine and Hildegarde of Bingen. I found the quotes and commentary to be interesting in relationship to understanding Angels, but would note that the focus of this book was Christiancentric and didn't really represent any other perspective on Angels from Quabalah or Islam. That said, if you're interested in learning more about Angels, this is a useful book to read. Do you ever feel like life is too complicated or like you're going in too many directions at once? If so, you need to read this book. The author does an excellent job of portraying the discipline of the essentialist, the person who only focuses on what is essential and eliminates the non-essential in the process. In this book the author shows what the difference is between the essential and non-essential and provides suggestions on how to implement essentialism in your life. I've found it to be very helpful in my own life as I've been undergoing changes, and I recommend this book to anyone who feels like life is overwhelming and complicated. The 7 Secrets of the Prolific is an excellent book for writers who have writer's block or have troubles with procrastination. The author does an excellent job of exploring what stops people from writing and helping them figure out what actions to take. Even for someone who is prolific, this book will have some valuable insights. I found it helpful for recognizing some behaviors that have stopped me from being as productive with my writing as I'd like. She also does a good job of exploring the realities of being a published author and how to think of your writing as a business. If you want to be more productive with your writing check this book out. This is another excellent by William G. Gray that explores the inner workings of Western Mystery traditions. It's as comprehensive book that explores a number of salient issues, such as sacred kingship, the function of ceremonial tools, mediation and ties all of them together in a way that enables the reader to go deep with Western Mystery traditions, while also developing their own cosmological models. I've found this book to be very useful in some of my own ongoing work and would recommend it as well as Gray's other books to anyone serious about developing their magical practice. Welcome to your world is an intriguing book which explores how the environment we build around us affects us, as well as how we navigate that reality. What I find really fascinating is how the author integrates cognitive and bodily experiences into the book so that we're not just looking at the environment, but also our own place in space. If you want to understand space, building designs, or how you navigate the world around this is an excellent book to read because it provides you a way to look at your environment from a unique perspective and consider how you situate yourself in the world around you as well as how bring good design into your life and improve your circumstances as a result. This is a must read book for any artist, writer, musician or creative. What I like about it is that author walks you through the life of being a writer, the challenges and the joys and reminds us that any creative act is really a communion with the divine, with the writer as the mediator. Reading this book helped me re-examine my writing practice in terms of how I approach and appreciate the ideas that come to me. I would highly recommend this book to any successful and aspiring writer. 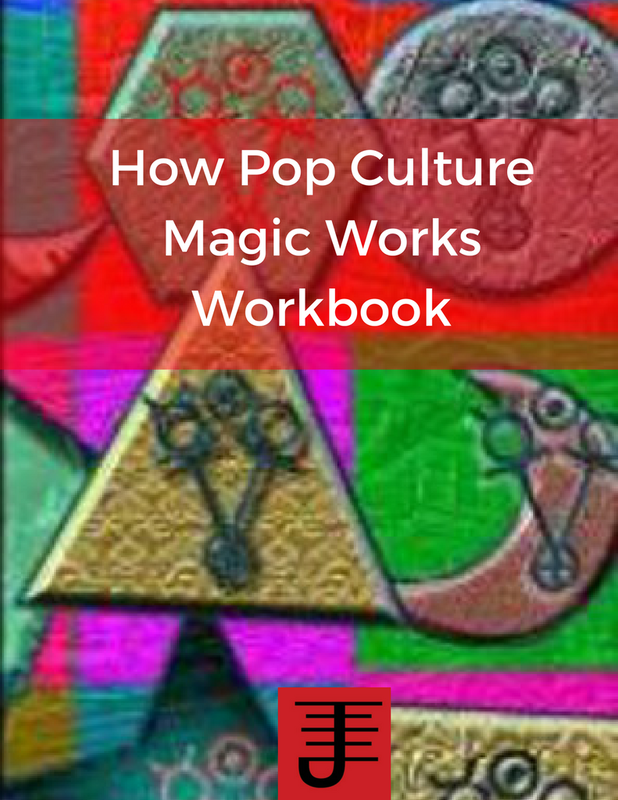 My newest book pop culture magic systems is now published and available. You can order it at local occult book store. Recently I had the pleasure and privilege to visit the New Alexandrian Library, which is run by the Assembly of the Sacred Wheel. I was in the area to present classes, but I also visited for the express purpose of seeing the library and donating some of the rare works that I've had in my possession. I am happy to say those works are now in the possession of the library, where they will be given the finest care and be available for anyone to access who visits the library. The library is a distinct possibility of where my books may go in the event of my death, but that will hopefully be a long, long time off. The above picture is painting created by Dion Fortune. The NAL had three other paintings from her as well. The ASW is still in the process of constructing the library, but it's pretty much finished and what I saw looked impressive. They also already have a good collection of rare books and its worth noting that they don't just collect books, but also magazines and periodicals. Most of my donation were issues of UK. Pagan and chaos magic magazines, but also issues of Konton Magazine, and some chap books by Michael Ford on Luciferian magical practices. I also donated my signed copy of Wilhelm Reich's Character Armor and the gallery copies of Kink Magic, because I know the library will preserve the books and magazines and also make sure people can access them (if only on the property). You can't easily find a lot of this material so having a library that is devoted to the preservation of writing on spiritual topics is essential. This was a ceremonial chair from an 18th century esoteric order based in Germany. They don't just have books in the library. I got to see ritual garb, a chair from an 18th century German Lodge and four paintings from Dion Fortune. Again these materials are being taken care of and preserved so that Pagans can see them and appreciate them. We need a place where this kind of preservation will occur, because it allows us to appreciate the magical heritage and foundation that informs the evolution of magic. A Picture of the many bookshelves crammed with rare esoteric books. The books can be examined in the library, but are not available to borrow. (They do have a part of the library where you can borrow books, but most of the collection is rare books they are preserving). I know I'll continue donating my collection to the library (at least part of it). At some point I want to donate copies of Immanion Press books to the library and I may actually go through and send them some of the out of print books we have for that specific purpose. Having a space such as this is something I want to support. Admittedly I won't be able to get to it easily, being on the other side of the country, but the fact that there is a library where esoteric works are valued and preserved is important for the Pagan community and something that all of us need to support. This is a picture of part of my rare collection I donated to the library. I've gotten what I've needed from these magazines and books and want the library to preserve them. You can find all the pictures from my tour here. 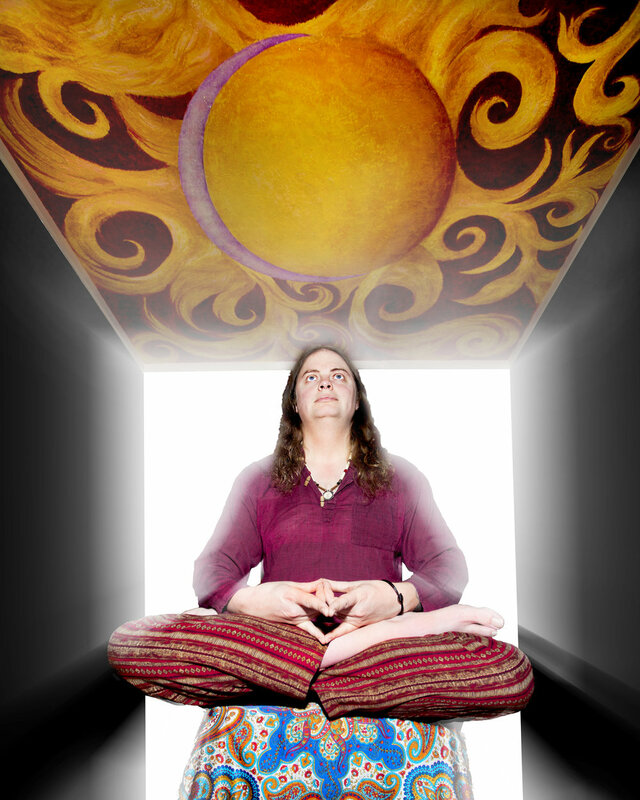 Radio Interview: I was interviewed by Magick Radio Chicago about Pop Culture Magic. Here's the archived version. Magical Imagination is a substantial revision of Nick's book Magical Pathworking. I really liked Magical Pathworking and in my opinion Magical Imagination is even better. Having read both books its interesting for me to see Nick's journey in this work and how he has changed as a result. As to the book itself, I found that what I liked about it is that Nick explores pathworking from multiple perspectives and disciplines including archetypal/psychological, mythological, and most importantly through imagination. Nick treats imagination as a magical tool, which is a refreshing change of pace from how its often treated. This is a book that's applicable to a variety of magical paths and should be required reading. The first half of this book a biographical excerpt of Jane Roberts life, which is interesting if you want to learn about the person behind Seth. I felt it gave me some useful context. However what really interested me was the second half of the book, where Roberts discusses aspect psychology and explores the topic of space/time and how a person's identity creates possibilities. Given that a lot of what she shares is similar to my own work on the topic, I wish I'd read this book years ago, but for anyone reading this book it'll provide some intriguing ideas to help you understand identity and space/time and how they fit together. This was one of the first Fantasy books I ever read and reading it many years later, I'm still struck by the richness of the world and characters. The author is a master of her craft and if you enjoy fantasy or are intrigued by how metaphysical concepts show up in Fantasy this is a book worth reading. Every time I've revisited this book I've felt like I'm seeing a long lost friend and rediscovering the joy that fantasy books first brought me. Firebug is an interesting adventure as the main character and compatriots seek their freedom from their boss. The universe is set in our world and is somewhat similar to the Dresden Files universe, though the author does enough to distinguish her books from Jim Butcher's. I like her other books, but while I did enjoy this one, it just didn't grab me in the same way as her previous works. Part of the issue is that the main character mainly comes off as whiny and ineffective. I don't really care about her or the other characters. The pacing of the story is a bit of a slog, though it picks up a bit in the last 5 chapters. Pop Culture Magic 2.0 is now available for pre-order! • How to work with corporate entities in pop culture magic • How to develop your own system of pop culture magic • How to integrate social media and modern technology into your magical practice. • How to use contemporary holidays in your magical workings • How role playing games can help you with your identity work • and much, much more! To Pre-order your copy today, click here! Look what arrived in the mail today! It's my latest book, Magical Movements and is a compilation of the blog entries on the Magical Experiments site from 2013 to 2014 as well as the entries on Pagan Square. If you're like me, and you like a print copy of what you read electronically, this book is quite nice because it collects all the entries into a format that you can underline and dogtag and have as a reference guide. Or if you're a diehard fan of my writing, then this book will be a nice edition to your collection. If you're interesting in buying a copy, you can order it from Amazon or directly from me. The Book of Good Practices is now available in Print! My latest Book, The Book of Good Practices, co-written with Bill Whitcomb is now available in print! This book is a master toolkit containing the world's most effective ways to increase personal empowerment, freedom, and happiness! Learn how to practice core human skills that affect every aspect of your life, such as: Creating Well-formed Goals Decision-Making Cultivating Emotional Balance and Happiness Relaxation and Stress Reduction Pain Management Communicating Effectively Establishing Rapport with Others Improving Memory Increasing Concentration and Mindfulness Boosting Creativity and Imagination Growing Empathy and Compassion …and much, much more! This is a book about how to do things. We have tried to make it as difficult as possible for you to reject the material in this book out of prejudice against one tradition or another. If we have been successful, you will see that the only way truly to evaluate the practices in this book is to try them for yourself. The Book of Good Practices provides you the means and methods to transform your life. By using these techniques, you can determine what you want to change, and then create a plan of action to enable that change. To order copies of this book go here. E-mail for inquiries and submissions: Shauna Aura Knight ; please put “Immanion Press Leadership Anthology Submission” in your subject line. Deadline for submissions: September 1 2014. The words “Pagan Leadership” are often met with scorn and tales of failed groups and so-called Witch Wars. And yet, as our communities grow and mature, we find ourselves in dire need of healthy, ethical leaders. Anyone who has been in a group that said, “Let’s just not have any leaders or power issues,” has seen what doesn’t work. But what does? This anthology will explore leadership for real Pagans and real groups. We’re looking for essays and articles that detail leadership success stories, best practices, and ways you have worked through challenges and obstacles. Our specific focus is on techniques to help Pagans build healthier, stronger, and more sustainable groups and communities. We’d like to see a combination of hands-on how-to, personally-inspired, and academic pieces that will offer readers tools they can use in their own groups. What resources do you have now that you wish you’d had when you stepped into leadership? What problems have you faced and overcome? How have you faced the unique difficulties of grassroots Pagan leadership? What are tools and techniques that have worked? Essays and articles should be 1500-4,000 words. We’re also looking for brief (500-1000 words) personal stories of what we might call leadership disasters—community blow-ups that you’ve personally witnessed or even mistakes you’ve made as a leader. With few exceptions, these would be published anonymously (not naming names/locations) in order to illustrate, through the personal voice of storytelling, the need for leadership education through the power of storytelling. These stories do not need to be formally written; they should simply tell a story about problems you experienced that caused a group to blow up. Note: We prefer shorter pieces for this, but up to 2,000 words might work. Submission Deadline is ____. Articles should be 1500-4000 words, although if your work falls outside those limits, do submit it – we can discuss this during the editing process. Personal experience essays should be 300-2,000 words. Drop us an email if you are unsure whether your idea fits into the content. The sooner you start the communication process the better, as after the deadline we won’t be considering additional ideas. Do write in your voice! If you’re academically inclined or trained, feel free to be as intelligent and technical as you like, and writing in the first person is fine as well. These drafts will be edited in a back-and-forth process with the editor. If your essay is not accepted for the anthology, we will tell you after the first round of edits. Accepted contributors will receive a free copy of the anthology when it is published and additional copies sold at 40% off the cover price to contributors. All contributors will be provided with a contract upon final acceptance of their essays. This anthology will take nonexclusive first world rights for 6 months. Manifesting Wealth: Magic for Prosperity, Love and Health is now available! I'm pleased to announce that Manifesting Wealth: Magic for Prosperity, Love, and Health is now available! To celebrate I'll be hosting a Virtual Book Release Party and FREE Workshop on Wednesday February 26th from 5-6pm PST. To learn more about the class, go here. • Financial tips and resources to reduce debt and improve investments • How to proactively plan for a happier, healthier life • How to define what wealth means to you and start manifesting it in your life. • How to create and sustain proactive relationships with the people in your life. • How and when to apply wealth magic to manifest prosperity in your life. It's been a while since I've done an update on my writing projects. So here's where I'm at with various projects. 1. Mystical Journeys: The Magical Journal of Taylor Ellwood (2011-2012) is now available from Immanion Press. This is a collection of all the blog posts on this website from 2011 to 2012. I'm not planning on deleting any of the posts, but if you want a book where all of them are referenced or you are just fascinated with my writing and various ideas, this is a good book to pick up. Both years were productive years, where I re-found my love of writing and magic. 2. The Book of Good Practices Vol 1 and The Book of God Practices Workbook by Bill Whitcomb and Taylor Ellwood is now available (self-published). I've been working on a book project with Bill Whitcomb for about 4 years. We finally finished it and are making the core books available as e-books, and the workbook available as a print book. Parts 2 and 3 will be published in the near future and eventually we plan on publishing all three parts as a print book. 3. The Space/Time Magic Correspondence course is coming together slowly. I think it will come together a lot faster now that I'm re-evaluating some of my priorities and scaling back on other activities which have been a distraction from the writing. 4. Manifesting Wealth (my wealth magic book) is done with editing. I'll be doing layout for it in the near future. The cover is currently being worked on and if all goes well, it'll be available in January of 2014. 5. I've just started on Pop Culture Magic 2.0. At one point I wasn't sure I wanted to write more on the topic of Pop Culture Magic, but I've had a change of heart, due in no small part to seeing so many people actually working with and expanding on the concepts of Pop Culture Magick. I've got some intriguing ideas to share. So it looks like my writing is fully back. I just need to make sure I have time to do it as well as the related work around it. And down the line, I'm going to start writing some fiction...I have ideas there that would be a lot of fun to write. My newest book, a Magical Life has just been published by Immanion Press. A Magical Life is the collected blog posts of this website from 2008 to 2010, which comes out to roughly 250 pages (pretty amazing, eh?). In this book I candidly share my life journey as a magician, demonstrating that magic isn't just something you do, but something you live. You'll read about various experiments, some successful, some not, as well as the intensive personal work that I've been engaged in during those years. A Magical Life is a snapshot of the life of a magician, my mistakes and successes, and my on-going work to know myself better, so that I can become a better person. It is also an exploration of magic that shows how magic shows up in the life of a magician. I'm pretty pleased to be putting this out, because while it is essentially a journal collection there are a lot of ideas and experiments I worked on in this pages, including some I'd forgotten about. If you wish to order a copy, go here.